Find the right solutions for your Urologic health needs with services from Urology Central, P.C. based in Leominster, MA. We specialize in providing you with a unique approach to helping you reach your specific health goals. We diagnose and treat most urologic conditions for both Men and Women including Kidney Stones, Kidney Cancer, Prostate Cancer, Bladder Cancer, Benign Prostatic Hyperplasia (BPH), Elevated PSA levels, Urinary Incontinence, Overactive Bladder, Erectile Dysfunction, Low Testosterone Levels, and many other urological conditions. We also offer surgical services such as Laparoscopic surgery, Shock-Wave and Laser Lithotripsy for kidney stones, Prostate resection or Laser Ablation for BPH, Minimally-invasive procedures for Female Incontinence, and "No-Scalpel" Vasectomy. Each person is different and our customized approach, tailored to individual needs, allows us to create achievable goals that are based on your lifestyle and physicality. 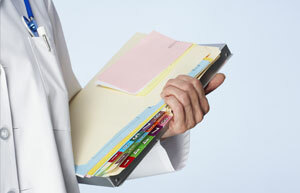 At Urology Central, P.C., we use state-of-the-art tools to identify your issues easily and effectively. Our health specialists are committed to help you make the changes in your life and health care. Contact us in Leominster, MA today for more information about how we are dedicated to making you healthier.